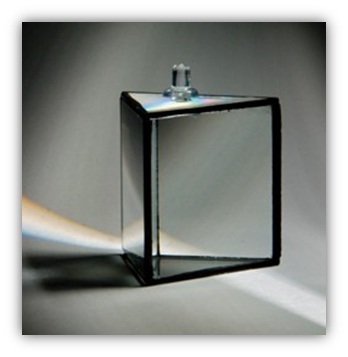 A prism is a transparent optical element with flat, polished surfaces that refract light. Prisms can be made from any material that is transparent including glass, plastic and fluorite. A prism can be used to break light up into its constituent spectral colors. Prisms can also be used to reflect light, or to split light into components with different polarizations. 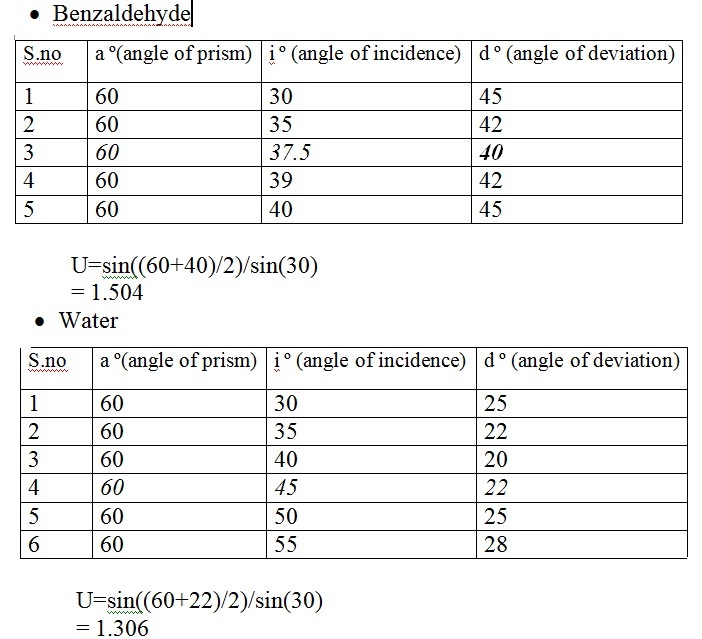 To find refractive index of different liquids using hollow prism. 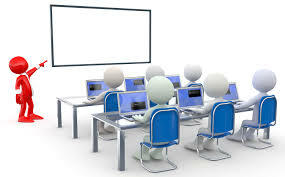 •	Various liquids like water, carbon disulphide, benzaldehyde etc. •	Fix a white sheet of paper on the drawing board with help of drawing pins. •	Keep the prism and mark the outline of it as ABC. •	Drop a normal PQ on the side AB. •	Draw the angle of incidence in accordance with the normal PQ and place 2 pins so that they appear to be in the straight line. •	Place the prism filled with given sample of liquid ,on the marked outline ABC. •	Now take the pins and place them on the side AC so that all the 4 pins appears to be in same line. •	Remove the prism and draw the line joining the points so obtained. •	Mark the diagram as shown in the figure. •	Angle of incidence should lie b/w 35-60 degree. •	Pins should be vertically fixed and should lie in same line. •	Distance b/w two points should not be less than 10mm. 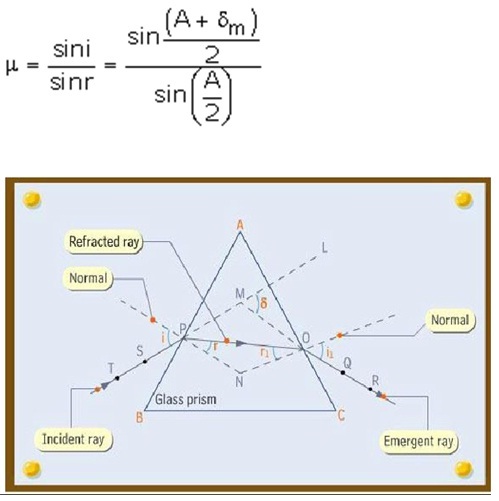 •	Same angle of prism should be used for all observation. •	Arrow head should be marked to represent emergent and incident ray.